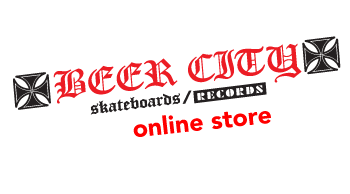 BEER CITY SKATEBOARDS AND RECORDS is proud to bring you THE FACTION’s Destroys O.C. – Cab’s 50th Birthday Bash! featuring legendary pro skater (and founding member) Steve Caballero on guitar. Hear and see THE FACTION blaze through 15 classic songs that helped to define what would become known as Skate Rock. Not only does this professionally recorded, filmed, mixed and mastered set sound (and look for those of you that buy the DVD+ CD) stellar, it’s also the first official live recording the band has ever done in their 33+ year existence as well as its first ever professionally recorded video. What better place and time to record it then at Steve Caballero’s 50th Birthday Bash at the Vans park in Oceanside California? THE FACTION is the band that was on many of the Skate Rock cassettes. This is the band whose song “Skate and Destroy” was in the opening of the first Bones Brigade’ skateboard video. This is the band logo skaters worldwide painted on their decks, grip tape, school folders, jackets, ditches, pools and ramps! Even today THE FACTION’s music is featured in many skateboard videos and documentaries. Mitsubishi even used one of their songs in a commercial that aired during the last Superbowl. Buy this full length, call your friends, grab your skateboard, head on over to your favorite ditch, pool or skate spot and blast this LP to have the session of your life! As you can see, THE FACTION is very much alive and well. The vinyl version will be limited to 1000 copies on clear vinyl for the first pressing!